For much of 2017, hedge funds - most of which again underperformed both their benchmark and the broader market - complained that they were not generating alpha for one reason: there was no volatility. Well, they got their wish in spades last month when after months of record low, single-digit VIX, equity vol exploded resulting in a 3.9% slide in the S&P 500 and as 10-year yields backing up. And so with volatility spiking, and what every commentator saying it was a "stockpicker's market" hedge funds surely had a blockbuster month, right? Well, no, quite the opposite in fact: according to the Bloomberg Hedge Fund database, in February hedge funds posted an overall drop of 2.19%, wiping out all of January's gains, and leaving them flat for the year. 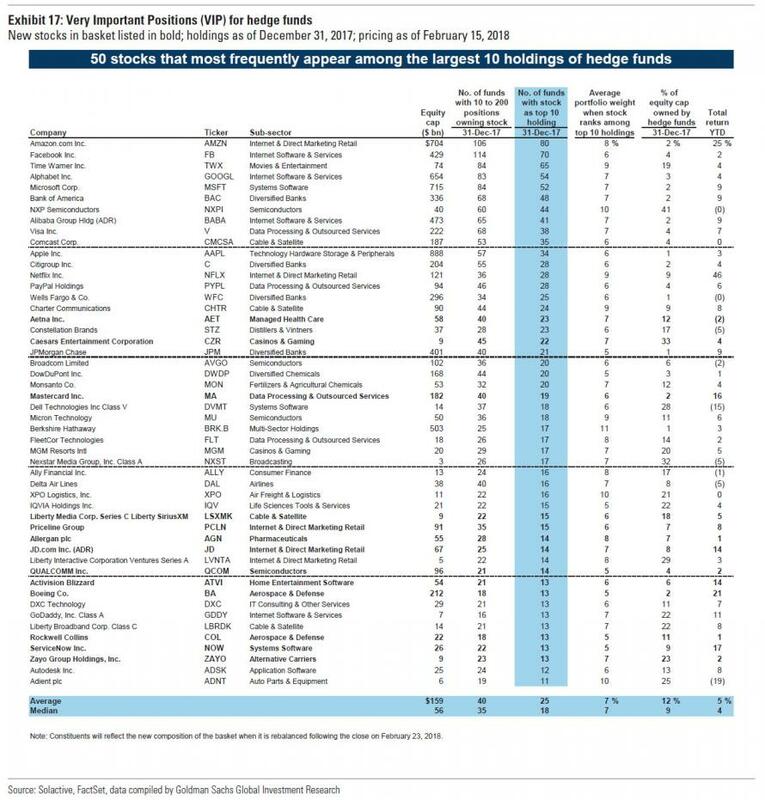 Yes, somehow the month that all hedge funds were waiting for lead to widescale losses and last month ended up being the worst month for hedge funds since January 2016, when they slumped 2.57%. 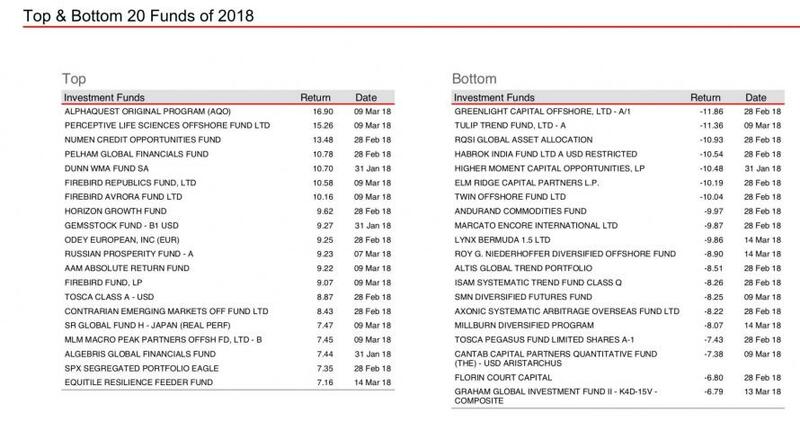 Furthermore, as we noted two weeks ago, when looking at the breakdown of specific names at the top and bottom, one stood out: David Einhorn's Greenlight was down 11.86% as of Feb. 28, making it the worst performing hedge fund in the entire HSBC Universe. We also hinted that such a tech wreck may actually be beneficial to Einhorn, who famously has a big tech-heavy "bubble basket" and which has - until recently - crushed his performance. Superficially, this is not that bad - in fact, one can say that Greenlight beat his benchmark as it outperformed the S&P's 2.5% March drop. That will hardly enthuse Greenlight's long-suffering LPs who have been patiently waiting for Einhorn to have another home run, and which failed to happen despite last week's tech bust. In other words, David will be sending another letter to his clients explaining why this all "must be frustrating to you." Since then, unfortunately it has gone from bad to worse for the poker afficionado who remains dead last in the YTD HSBC rankings and who will soon face strong pressure from LPs to come up with a hail mary if the "bubble basket" was indeed a dud.